The event by Nespresso, is a very special culinary journey that, through a delicious and intuitive search, takes guests to know the mysteries of the cooking and the coffee. 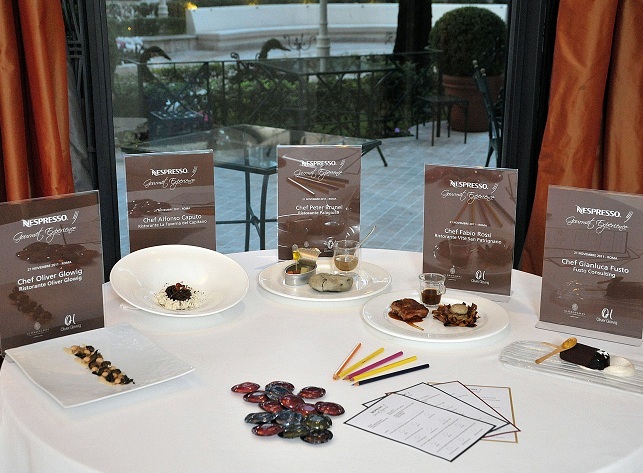 Four great chefs compete in a challenge of taste and excellence cooking a recipe created by one of their colleagues: the guests of the event have to identify the dish creator and discover the variety of Grand Cru Nespresso, that inspired the recipe maker. In a lunch where the recipe is known but not who makes it and where the coffee is known, but not its variety … everything is a discover!